The announcement by the Zimbabwean government that it will scrap the Indigenization and Empowerment policy for all investments into the country comes as a welcome development for domestic and foreign investors. The Indigenization and Economic Empowerment Bill was signed into law on 9 March 2008 amid heated debate and resistance from the business community. The bill sailed through parliament in September 2007 and had been used as the anchor policy for economic development by the incumbent government in the run up to the March 29 general elections. A number of community share ownership trusts were set up to ensure that the indigenous communities benefited from national resources with minerals topping the agenda. The law described indigenization as a deliberate involvement of indigenous Zimbabweans in the economic activities of the country, to which they had no access, so as to have an equitable distribution of national resources. Further, it described a Zimbabwean as any person who, before 18 April 1980, was disadvantaged by unfair discrimination on the grounds of his or her race and any descendant of such a person and includes any company, association, syndicate or partnership of which indigenous Zimbabweans form the majority of members or hold the controlling interest. Zimbabwe is not the first country to have such a policy, a host of other countries from the developed world implemented such policies and still have them in various forms which might not be as direct as the compulsory 51/49 shareholding adopted by Zimbabwe. These countries include USA, China, France, Italy, Brazil, Singapore, South Korea, Japan, Italy, Taiwan and South Africa. In these countries, certain economic sectors are reserved for the natives or the national government pushes for joint ventures with foreigners on strategic investment portfolios. In South Africa, the Black Economic Empowerment (BEE) Act of 2003 gives more weighting in terms of points to companies that have shareholding structures that favors black South Africans. The policy also gives preferential treatment to entities that employ more blacks especially at management level or subcontract indigenous companies to supply them and carry out their projects. Though the policy is voluntary, it makes it difficult for entities that do not comply to partake in government or municipal contracts or do business with other complying companies. The policy however excludes companies that have an annual turnover of less than R10 million ($700 000). The impact of the policy on the South African economy is mixed with analysts citing the policy for the improved participation of black South Africans in economic development thereby reducing poverty levels. Critics however point that the policy has nurtured entrepreneurial laziness and political cronyism where a few connected black entrepreneurs canvass for government tenders and contracts while fronting for the elite. The ongoing State Capture Inquiry which has highlighted the epitome of corruption in South Africa has exposed the advancement of BEE by those politically connected to the demise of key state owned enterprises such as Eskom and South African Airways. The rationale for advancing the Indigenization policy in Zimbabwe was very clear on paper. It was enacted so as to increase the role played by the previously marginalized 70% of indigenous people (especially rural communities) in the mainstream economy and to correct imbalances in resource ownership construed as the major obstacle to economic growth and development. Soon after the bill was signed into law, a few foreign owned companies disinvested from the local market while others moved to parcel significant portions of their equity to local management consortiums or community trusts. Pressure was ratcheted on blue chip companies especially those in mining and manufacturing. However, foreign companies in loss making positions or those in financial distress were mysteriously overlooked. Other sectors such as banking and financial services were spared as authorities feared for the negative consequences that the policy could have on the country’s financial stability. A host of indigenous banks had been liquidated due to mismanagement and poor corporate governance since independence. In the last 4 years, a number of investors who have managed to invest in mining, banking and manufacturing have been exempted from the indigenization policy, showing confusion on the policy and selective application of the law. The Indigenization and Empowerment Act was amended in December 2018 to its current form where the 51/49 shareholding structure is compulsory in Diamond and Platinum mining only. The positive impact of the Indigenization and Empowerment policy on the intended beneficiaries especially the marginalized or rural communities is next to none. A recent report by World Poverty Clock in 2017 pointed out that over 72.3% of the Zimbabwean population are poor with about 5.7 million people living in extreme poverty. In February 2019, the Zimbabwean government launched a plea for international assistance to the tune of $3.2 billion. The plea points that millions of citizens are in need of basic services such as food assistance, healthcare, basic education, water and sanitation with the rural communities being the worst affected. Fears of rent seeking behavior by the political elite through the Indigenization and Economic Empowerment policy were confirmed in the Choppies Zimbabwe case where 51% of the local company was parceled to the elite to comply with the law while behind the scenes local shareholding was merely 7%. A host of similar deals with the elite were made so as to give a façade of compliance to the public. In terms of Foreign Direct Investment (FDI) inflows in the economy, Zimbabwe has been struggling to keep pace with its regional peers. 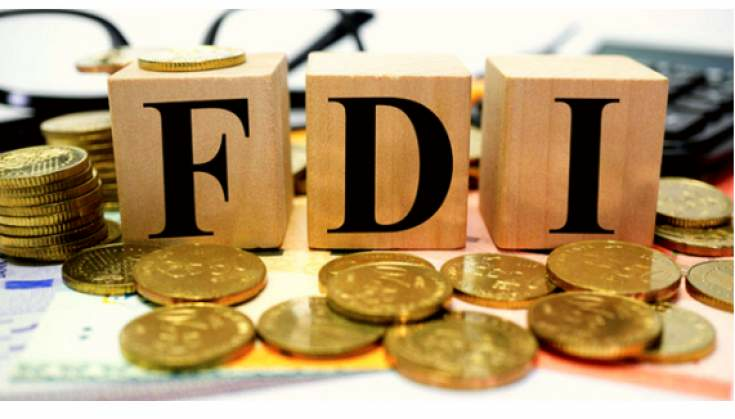 Soon after the introduction of the law, FDI inflows plummeted to $23 million in 2008 as investors reacted negatively to the policy which compelled them to cede 51% of their equity to local shareholders. Since then, FDI has averaged $340 million from 2009 to 2019 against a SADC regional average of $1.2 billion. After the introduction of the law in 2008, Zimbabwe’s ease of doing business ranking deteriorated to 171 out of 190 ranked countries due to policy confusion, bureaucracy and inconsistent application of the indigenization law. Coincidentally, FDI inflows to SADC countries with better ease of doing business rankings such as Zambia, Namibia, Botswana and Mozambique have been improving over the years. In as far as the economic empowerment through indigenization is necessary, it is important to assess whether the intended indigenous beneficiaries have the financial resources to invest in the identified sectors especially in mining considering the level of capital required. Another key consideration is on whether mineral resources are of any economic value to the economy if the intended beneficiaries are not mining them in order to benefit from them. It is rather beneficial to the nation for the government to compel foreign investors to process all minerals including diamond or platinum in Zimbabwe. That way the government creates business opportunities for indigenous SMEs that can be contracted in the value chain. Residual benefits can also come from employment of skilled labour, improved industrial capacity and growth in the tax base. The Indigenization and Empowerment Act had complicated the local business environment for the few investors that showed faith in the Zimbabwean economy while denting the country's fortunes for fresh FDI inflows. Zimbabwe's regional peers capitalized and gained from the controversial policy in the last 10 years. It is therefore good riddance to the business community and economy as a whole that the government will scrap the law altogether so as to boost foreign investment.